Internet of Things will lead to a future where virtually every physical item has a microprocessor and all industries will be disrupted. 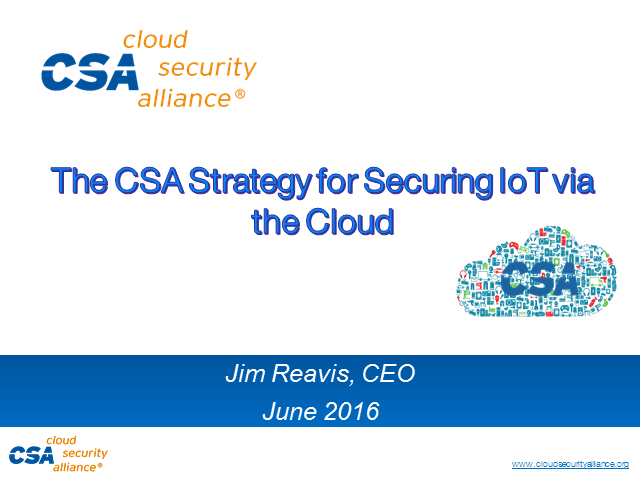 In this presentation, CSA CEO Jim Reavis discusses key security trends for Internet of Things and Cloud Computing. He will make the case that the cloud platform is the key strategy for attaining secure IoT implementations and will explain the CSA roadmap for converging cloud and IoT security.